If you want to develop a quality, cost-effective electronic product, Electronic Impact would like the opportunity to assist you. 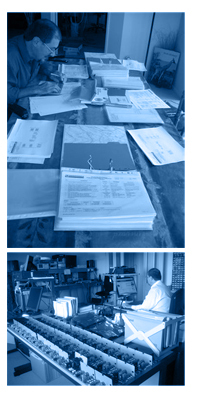 Our mission is to ensure that we understand your needs and fulfil them economically, quickly and accurately. A wealth of experience in analogue and digital circuit design and embedded systems development is available to you, particularly in the areas of intrinsic safety and compliance with various standards, such as IEC. We are committed to confidentiality, have an uncompromising work ethic, and you can expect realistic advice and an honest opinion when you call to discuss your project with us.